There is something about The Color of the Soul directed by Alberto Martos that is a little bit extra. I could mean the actual content or I could mean the way the content is so superiorly presented—from the cinematography to the digital graphics—or I could just mean what it overwhelmingly reflects about us. The complex nature of the socio-economic-religious system in India proves to be an extreme example of how each person on earth contributes unique elements that show our imaginations to be much greater than life itself. When that storm is raging inside of you, if you just stop for a second and listen to what’s around you, quite usually nothing is happening at all. The wind might be blowing. The birds might be chirping. That’s pretty much it. But, at 330,000,000 Hindu Gods, something extra is definitely going on when Indians almost have more Gods than the entire population of India itself. We sure do complicate things. I look at the image of the man above drinking tea in this film and at first I’m confused because he doesn’t fit into the reality that I know, but it’s really not so complicated. He is white and black. He is light and dark. Exactly what I see. Or, he is European and Asian, if you need another visual, and “race mixing” has nothing to do with it. Color is only a little more than a random attribute among us. It says little about how we are connected. Other things say much more. As the film progresses, it gives you more and more extra. I learn about the dichotomy of Ghandi’s approach to the British on the one hand vs. Ambedkar’s approach on the other. It reminds me of the dichotomy between King and Malcolm X. Peaceful protest versus any means necessary. And ironically, even as an Untouchable—a member of the Dom caste in India—Ambedkar beat the odds to become known as the Father of the Indian Constitution. If he had looked at his prescribed place as the lowest of the low in the Hindu caste system and stopped himself there, none of his reforms for the education of all Indians, regardless of caste, would have seen the light of day. He clearly saw that his life did not have to be as complicated as his imagination could limit him. I say it this way because sometimes seeing things in a simple way frees us to do more than our imaginations could ever do for us—our imaginations sometimes creating dangers, limitations, and divisions where there are none. At times, we would all like to believe that we are so disconnected, unique, and un-influenced by one another. That we are so special. But, language is one strong indicator to the contrary. Take aryan, aubergine, avatar, cheetah, ganja, jungle, juggernaut, jackal, karma, lilac, loot, opal, orange, rice, singapore, sugar, sulfur, and zen, for example—all of these words come almost directly from Sanskrit—a language much older than Latin. English has for a very long time adopted words from languages all over the world, which is in part the reason why it is one of the most inconsistent languages. The way English speakers say words, for example, and the way the letters sound in the alphabet, are two different things. If you’ve ever studied other languages, you know English is not the norm. The British show great diversity in this way—a very great display of connection—even if some try to hide it with words like Anglo-Saxon… In this same way, Indians show a lot of their diversity and connection by the number of religions they have merged into one—Hinduism. There are the connects and the disconnects, but in a backwards way, the disconnects can also come out to be yet other examples of our connects. I say soda. You say pop. I say sneakers. You say tennis shoes. I say backpack. You say knapsack. I say boot. You say trunk. I say elevator. You say lift. We are seeing the same thing. We just approach it differently. 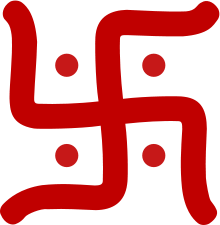 How, for example, the Jainism symbol for goodness, the swatstika, which was and still is a religious symbol all across Asia, suddenly became the symbol of hate after the Nazi party adopted it, I’ll never know. A Jainist gives it the meaning of love. But, a Jewish person will now inevitably give it the meaning of hate. This flip in meaning of a symbol is the same as the flip in usage of all the word pairs I just gave. There are no two countries in the world that use English the same way. There are no two countries in the world that adopt religions the same way. But, the disconnects certainly have connects when we take the time to stop running wild with our imaginations and look at all the evidence staring right back up at us. I think about all of the contradictions so perfectly stated and perfectly unstated in The Color of the Soul and I realize that it’s not so odd; the innumerable ways we can approach the same thing. That a people of so many origins could have so many structures in place, makes sense. Indians go from the darkest to the lightest, from straight hair to curly African hair. Even Muslim Pakistan used to be a part of India’s already large mix until the British separated them on India’s “independence” from England… Yeh, you can go now but I’ll just keep your arm. Thanks! When you really think about it, the disconnecting connects are actually exciting. Many Americans call themselves Christians but Blacksmiths, Carpenters, Bakers, Fishers, Drivers, and Priests—these are all examples of occupations that English speakers have given to themselves as surnames—possibly remnants of our own caste system… as in, when English speakers might have been influenced by Vedism the same way ancient Indians were influenced to start giving caste names by occupation as shown in The Color of the Soul?… Well, English probably didn’t even exist then, but you understand what I’m saying. 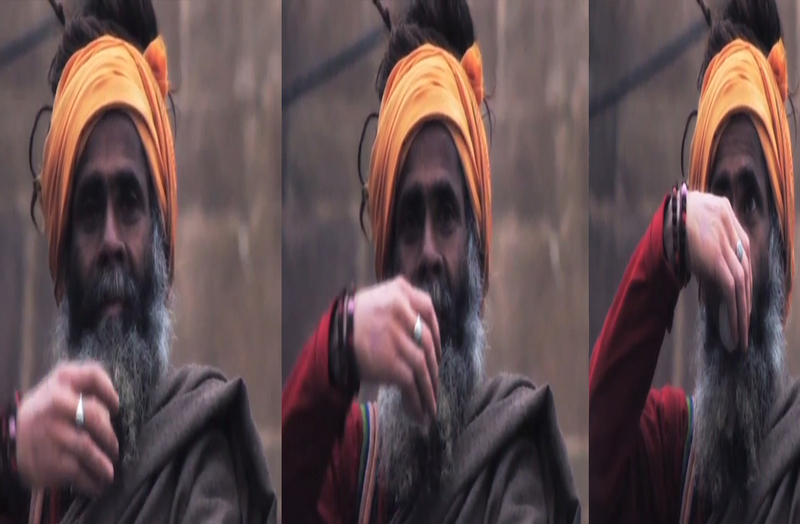 And just when I was ready to wind down, the Brahmin in the film brought me to yet another contradiction. The Brahmin are the highest class in Indian society—the priests, the artists, and the teachers… Brahmin and Burakumin… sound pretty similar, don’t they? Take out the Japanese proclivity to add vowels after every single consonant, even when the Japanese are practicing another language, and it’s quite possible that when the Japanese talk about Burakumin, they might be, now unknowingly, referring to Brahmin. People travel, you know? I’m sure bits of Buddhism-influenced Hinduism spread to Japan from India along with the Buddhism now so entrenched in Japanese society today… but then things got flipped for one reason or another. If my theory is correct, how ironic it is that the highest of society in India are simultaneously the lowest in Japanese society and now perform the same undesired tasks as the Dom caste in India. But, why not? If a boot is a trunk and the swatstika can represent hate, then anything is possible.